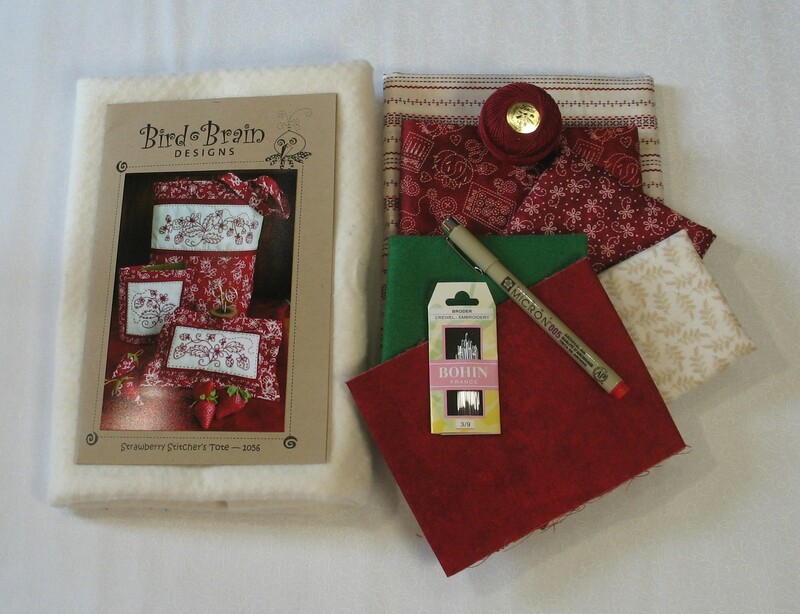 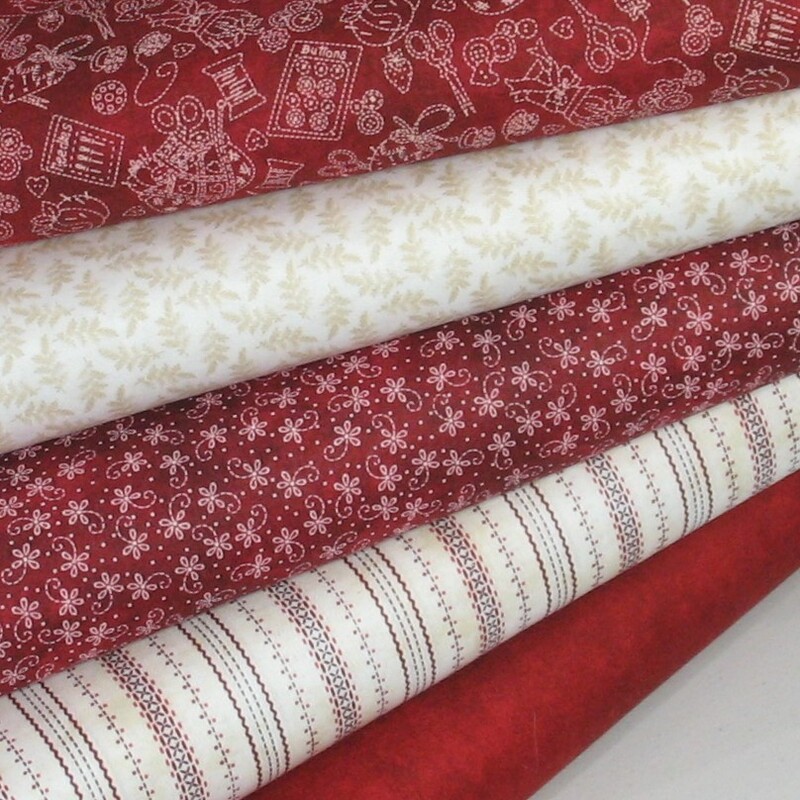 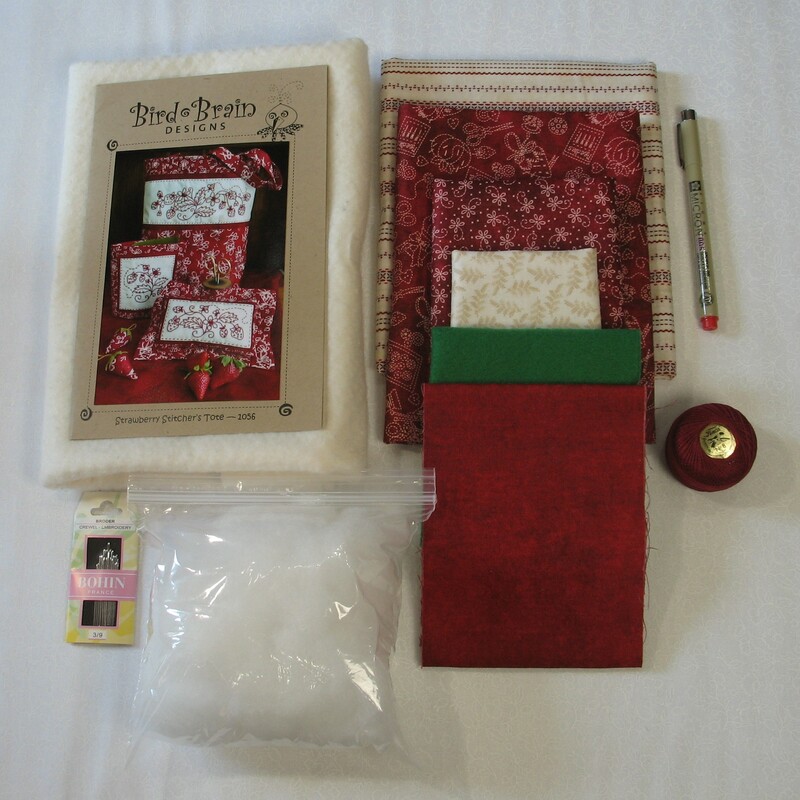 Adorable kit for 3 coordinating projects featuring red work embroidery - tote, pin cushion, and folding needlecase - includes all the fabric needed for the projects except the emery for the little strawberry emery, batting, fiberfill, perle cotton, pigma pen, and embroidery needles. 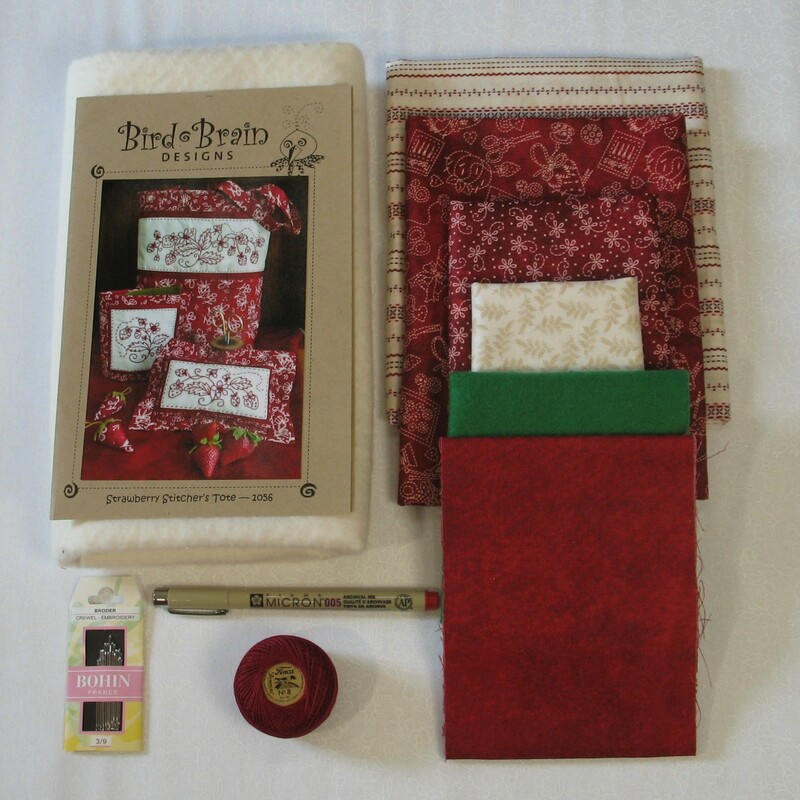 The pattern is by Robin Kingsley of Bird Brain Designs and the fabrics are from her "The Little Things" collection for Maywood Studio. 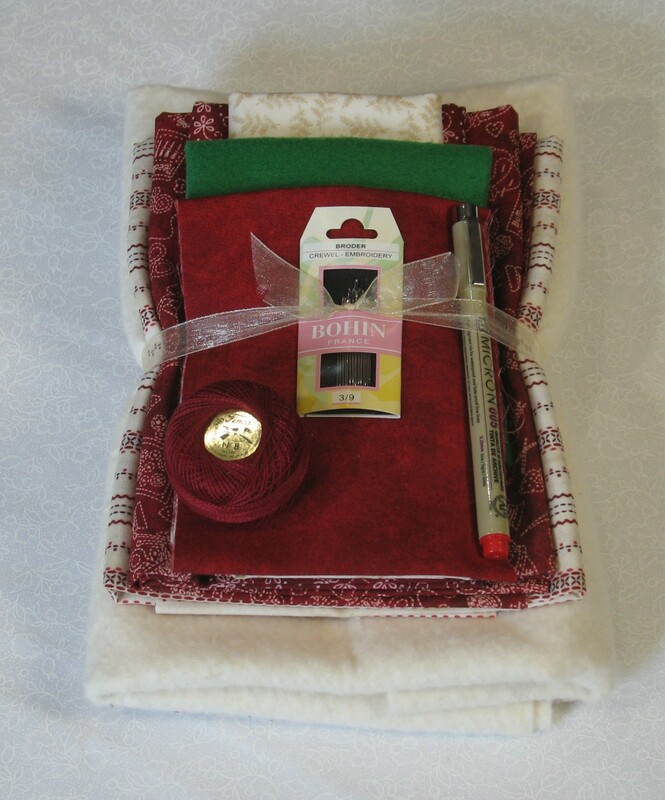 Kit comes in a cute fabric drawstring bag.